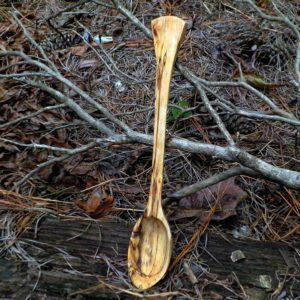 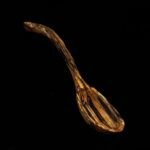 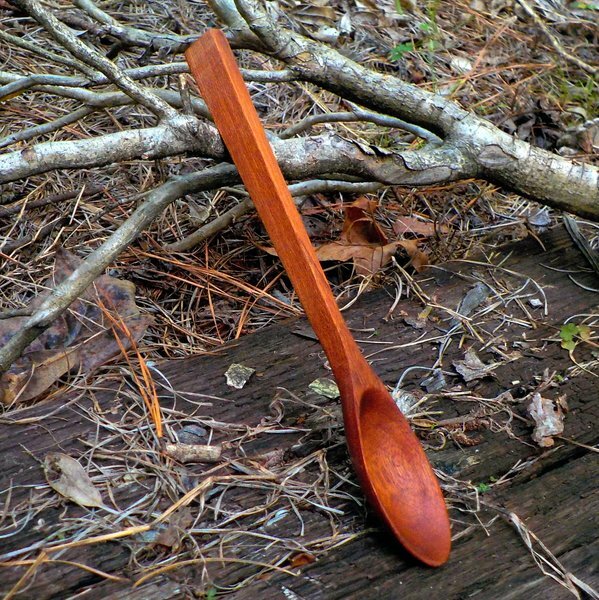 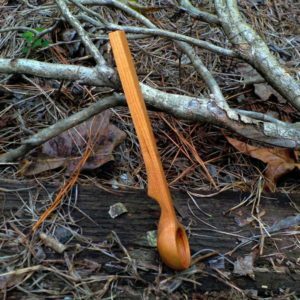 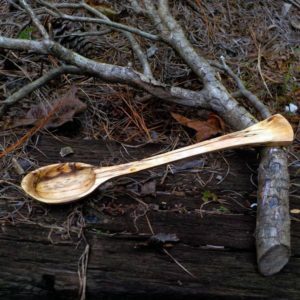 This Spoon is 6.5″ made of Cherry Wood. 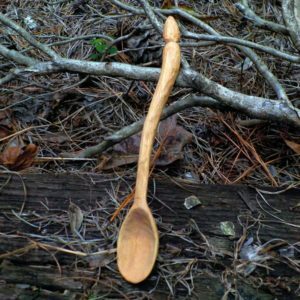 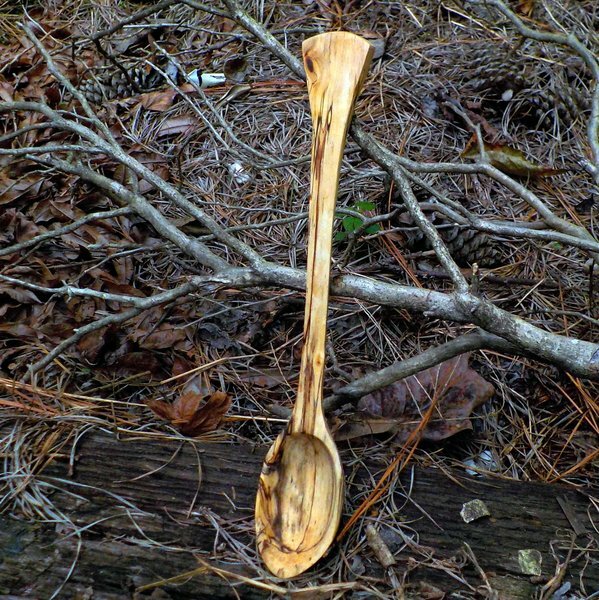 Spoons are hand carved from banjo building cut-offs and found woods. 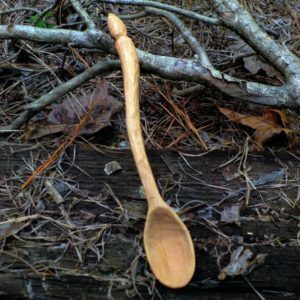 Some will be plain, some fancy, and some a little unusual. 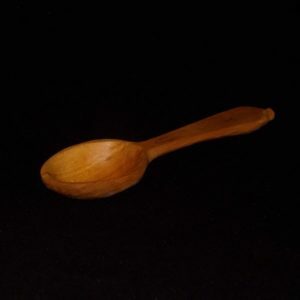 All of them have been treated with food grade mineral oils and natural waxes, so they can be used safely with food. Some of the spoons will have Kolrosing , a very old technique for decorating wood. 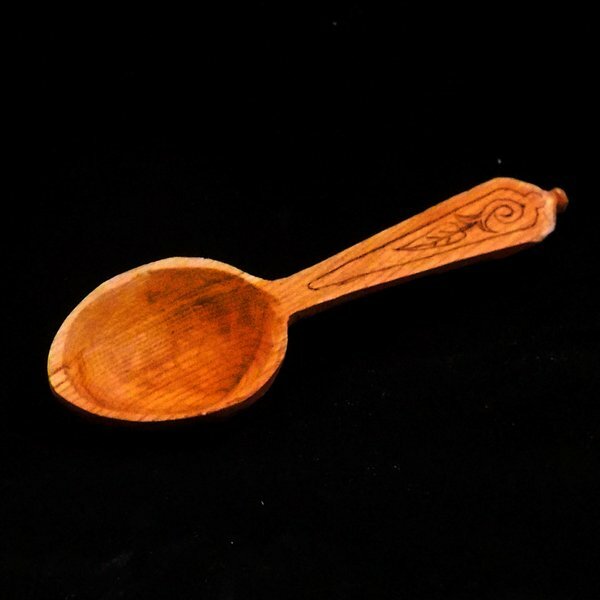 Initials can be added at no charge for gifts. 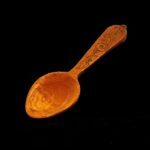 Care: Do not put spoons in the dishwasher or leave soaking in water as this can ruin the spoon. 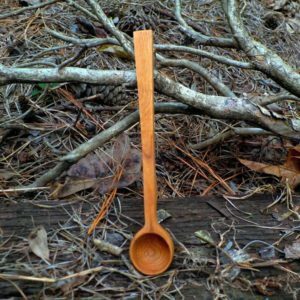 Custom orders are available and priced accordingly. #012 Mahogany stirring spoon 10 1/2"